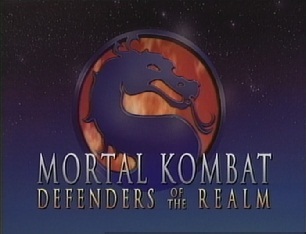 "Much has changed since the last Mortal Kombat tournament. 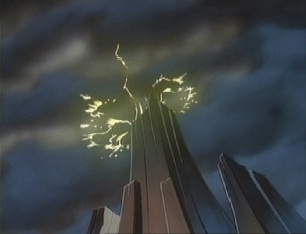 Dark forces have begun invading the Earth realm. 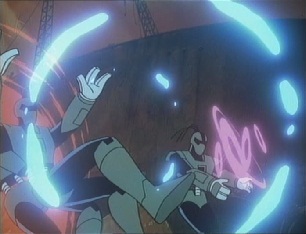 These attacks are seriously weakening Earth's dimensional fabric, enabling not only outworlders to enter the Earth realm, but warriors from other domains as well. 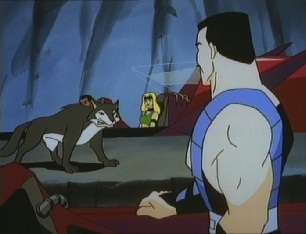 Only the most extraordinary warriors can possibly meet this challenge. 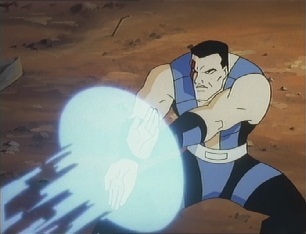 ...Kiva...Kurtis Stryker...driven by purpose and bound by honor, these are the defenders of the realm!" 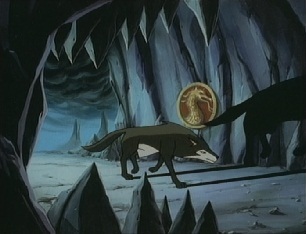 At the MK's base, Kiva, a wolf, is on the prowl and comes across his master. 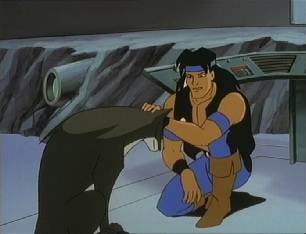 Nightwolf is busy using a computer when he has to get Kiva off of him, and tells his pet to knock it off as he's got work to do. 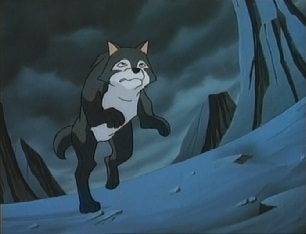 And just then, an alarm goes off as Nightwolf realises that there has been a new rift in Earth's dimensional fabric. 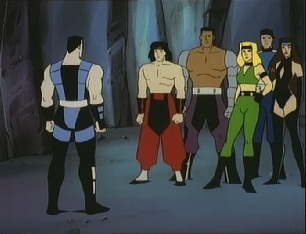 Liu Kang gets into contact with him and asks what they are looking at. 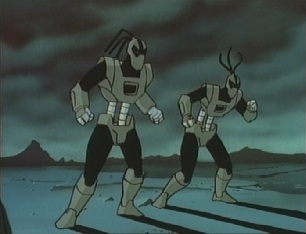 Nightwolf's sensors detect robotic beings known as "Cybers" which means there is a good chance that Sektor and Cyrax are behind this invasion. 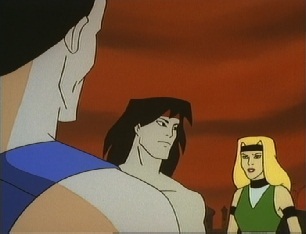 Liu Kang terminates his connection and resumes helping the others in his team -Sonya, Jax and Stryker -to fight back. 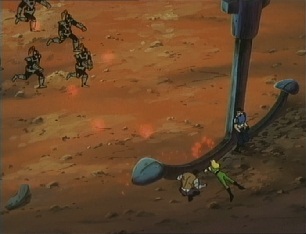 The opposition is a bunch of robots who don't seem to fare that well when they get blasted by projectiles. 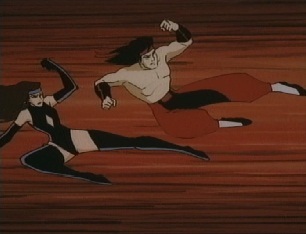 Sonya and Liu charge forward, but Liu then sees Kitana. 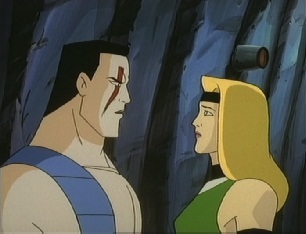 He feared that she was dead, but she tells him that fear is a far greater adversary that the one they are about to face. 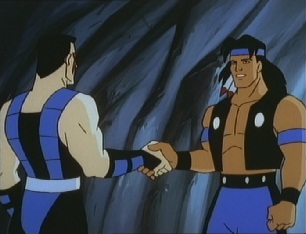 Nightwolf then contacts Liu again and tells him that in total there are 22 Cybers, but more could be on the way due to the rift still being open. 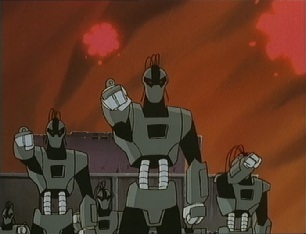 Stryker tells the others that they need to keep these robots from reaching the city, and they need a strategic plan of attack. 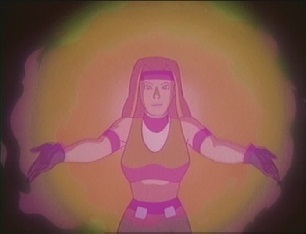 Sonya says she's got one: KOMBAT TIME! 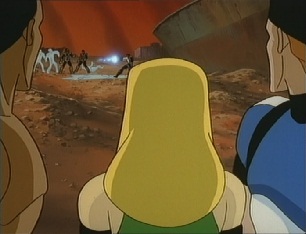 This involves her running forward directly towards the enemy and fighting them head on. 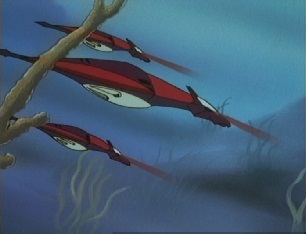 The others follow and soon many of the Cybers are trashed. 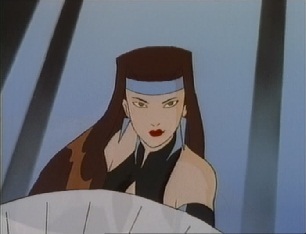 Up above, Kitana is just watching. 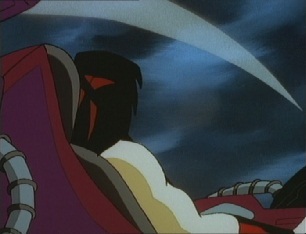 However she realises she is being watched and turns around to see Sektor looking at her. 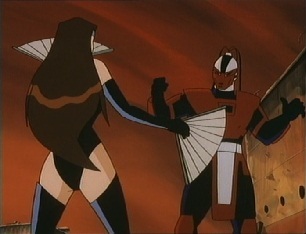 The cyborg-ninja says she has no chance, and the two start to fight. 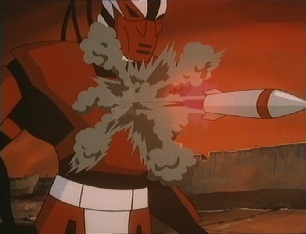 Sektor fires a rocket at her, but she destroys it with one of her fans before knocking him up into the air with her fan lift move. 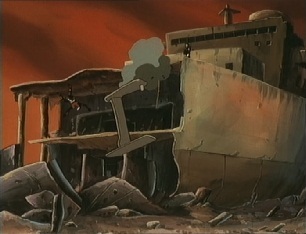 She then kicks him off the wreckage of the ship they were on and he crashes into the ground. 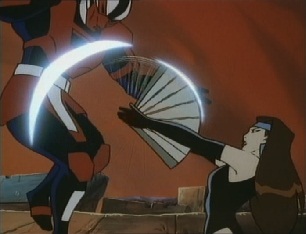 She then also jumps down and helps out Liu Kang defeat a few more enemies, but even more robots show up and open fire on everyone. 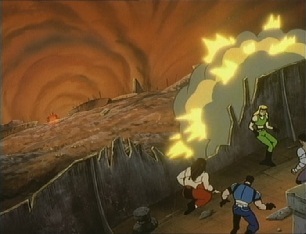 The team takes cover behind an anchor, but Sonya says how hopeless it is -every time they knock one of these guys down, five more show up. 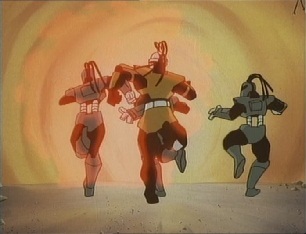 Cyrax appears on the battlefield and gives his robot friends orders to annihilate the enemy. 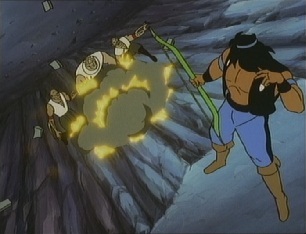 Before they can do that, several of them are hit by projectiles and are frozen. 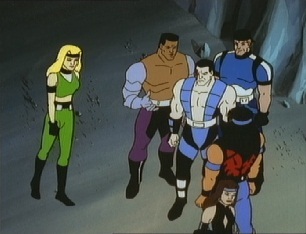 The team see that Sub-Zero has appeared and is helping them out. 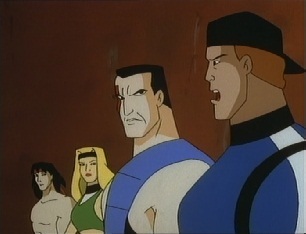 Sonya doesn't think they can trust him as he was a traitor to his own clan, and whilst Jax and Stryker don't like him much either, they decide to go and help him. 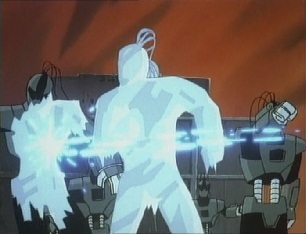 Soon the majority of the robots have been frozen and the remaining ones head back to the rift. 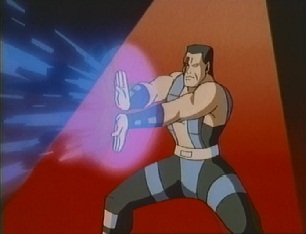 As Liu Kang fought the original Sub-Zero, it seemed he was going to lose until Kitana briefly appeared and gave him some advice...he must use the component which brings life. 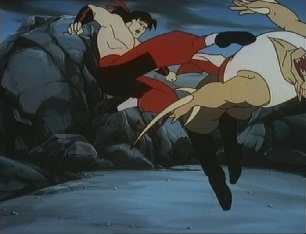 Liu Kang turned back to Sub-Zero, who was charging up an ice field in front of him. 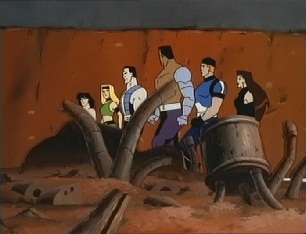 There also happened to be a bucket of water nearby. 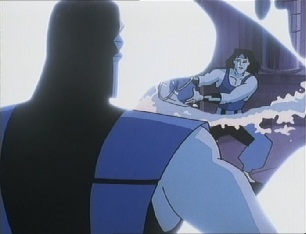 Liu Kang grabbed the bucket and threw the contents of it all over his opponent, which caused his icefield to backfire and instead freeze and kill him. 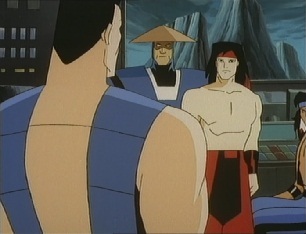 Liu Kang wondered if he could have beaten him without Kitana's help, but then back in the present Kitana says that it's all over and the team are heading home. 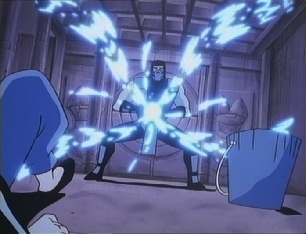 Sub-Zero tells everyone that after his brother's death, he realised that his elder sibling was actually evil, and without honor. 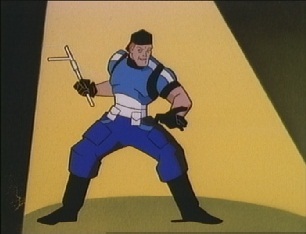 He could no longer fight for what his clan believed in, so he left the Lin Kuei and decided to help them. 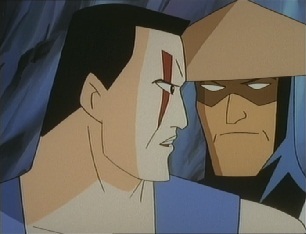 Jax wants to know why he has been gone for so long, and Sub-Zero tells him that he was filled with hate -so he sought seclusion to try and find inner peace. 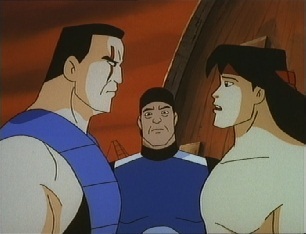 Sonya asks if he will ever forgive Liu Kang for icing his brother, but Sub-Zero says that what Liu Kang did was to help save the Earth, and was with honor. 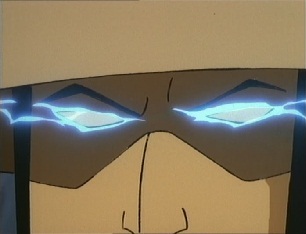 What Stryker wants to know is why he just happened to show up now, when the rift had opened. 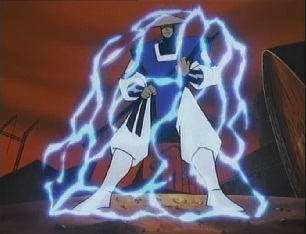 ...and out of the light appears Raiden. 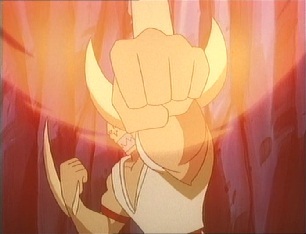 Jax says his timing is great, because the fighting is over. 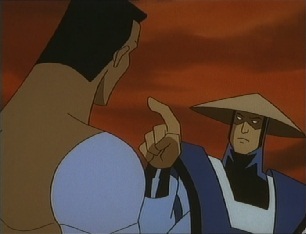 Raiden tells him not to start with him as he's been with the elder Gods, and they've got another crisis. 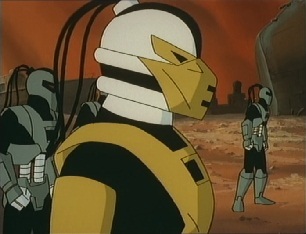 But he finds out from Jax that Sub-Zero has already told them what is it: Scorpion is on the way. 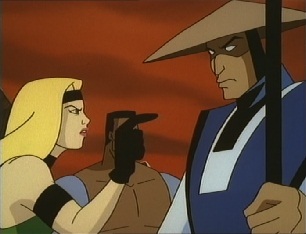 Sonya says she doesn't trust Sub-Zero, but Raiden says he does. 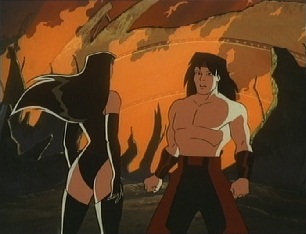 Sonya says that whilst he may be the God of Thunder, he's been wrong before. 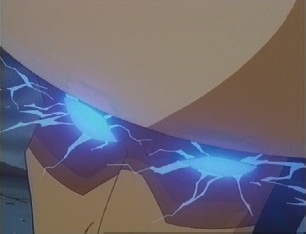 Raiden says she must really have a death wish. 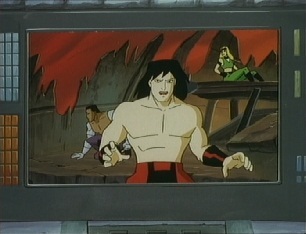 Liu Kang breaks up their conversation by contacting Nightwolf, but he hasn't got anything to report on any new rifts. 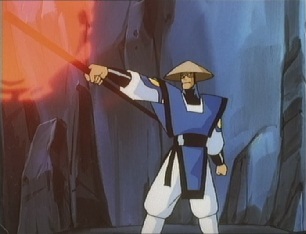 Raiden tells everyone to get to their jets and get out of here, before teleporting away himself. 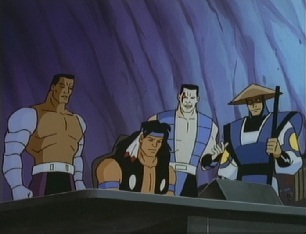 Stryker doesn't think they can reveal the location of the MK base to Sub-Zero, but Liu Kang convinces the others to let the ice ninja come with them. 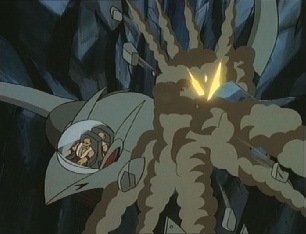 Each of the "Dragon Jets" can seat two people, and soon the three aircraft are in the skies. 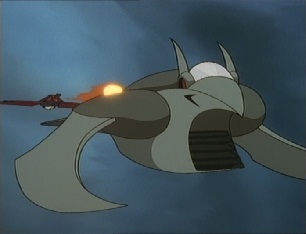 Liu Kang hates piloting these things and tells Kitana he would rather face 1000 ninjas then face 1 computer, but Kitana tells him they all need to be able to pilot the jets in case of an emergency. 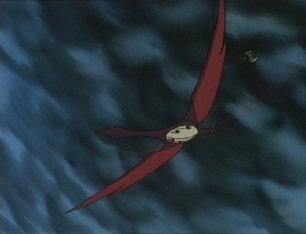 Liu is worried he will cause the emergency due to his flying skills. 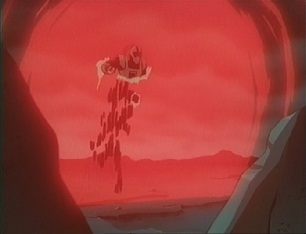 Soon the jets hit the sea and reveal that they are also submarines, and head towards a cave. 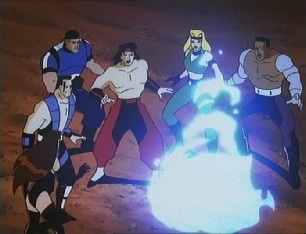 The jets emerge from the waters, and Kiva takes an instant dislike to Sub-Zero until Nightwolf tells his pet that Sub-Zero is a friend. 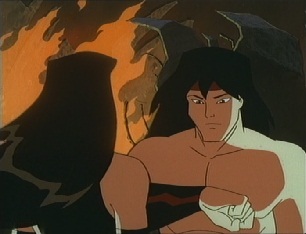 He introduces himself and thanks him for his help during the previous battle. 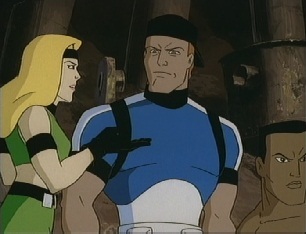 Jax wants to show the ninja around, but Sonya says they may as well show him every secret they have also before storming off. 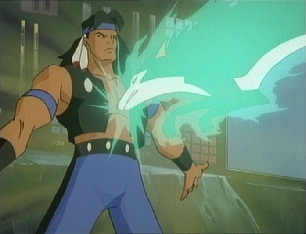 Nightwolf explains that Sonya lost her last two partners to outworlders, so she's hurting inside. 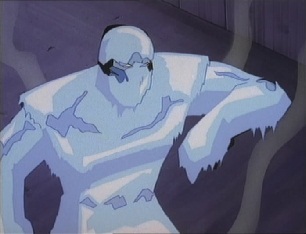 Sub-Zero says everyone deals with their pain differently. 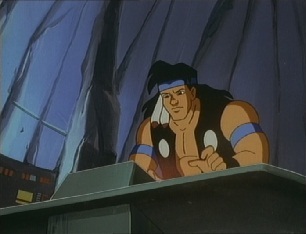 Inside the base, Sub-Zero is surprised to see Nightwolf sit down and start using a computer, as he thought he was some kind of shaman with mystical powers. 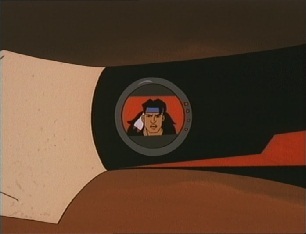 Jax says he's a big computer geek also. 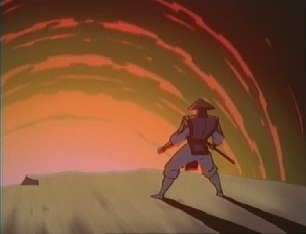 Kitana then says that the outworld attacks on the Earth realm are becoming more and more frequents. 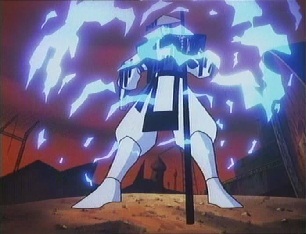 Raiden says that this constant stress is seriously weakening the dimensional fabric, making entering the Earth realm easier and easier. 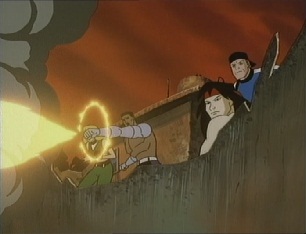 Just then an alarm goes off and the team find out they are under attack -Raiden sees that beings known as the Nomads are attacking this place, but how did they find them? 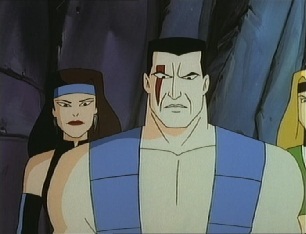 Everyone stares at Sub-Zero and Sonya says she knew he could never trust him, although he denies having anything to do with this. 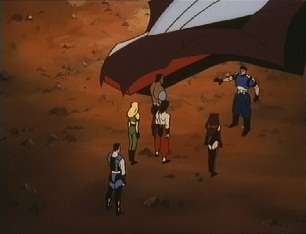 The Nomads are attacking in jets, so Raiden tells Sonya and the others to get to their jets whilst he and Nightwolf deal with Sub-Zero. 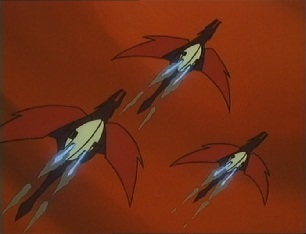 Soon the Dragon jets are out and start shooting down the invaders. 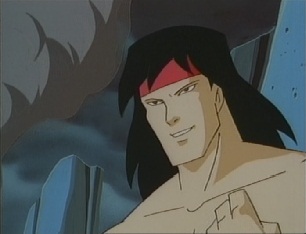 Liu Kang turns to be a good pilot after all as he gets one of the Nomad's jets to crash into the side of a canyon. 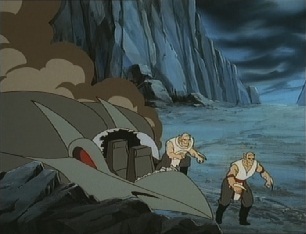 The two Nomad pilots survive the crash and get out of their wrecked jet, only for Sonya and Jax to land nearby and take them both out. 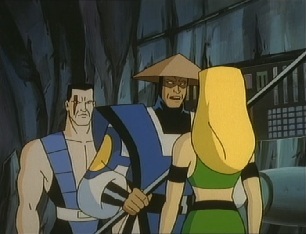 Back in the base, Raiden says the Nomads are the lowest form of life in the Outworld, why would Sub-Zero hang out with them? 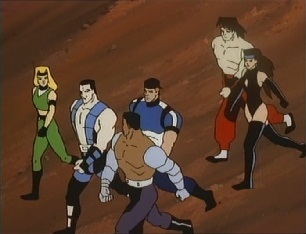 Sub-Zero says that they were the ones who tried to recruit him for Scorpion's invasion force -they must have tagged him somehow. 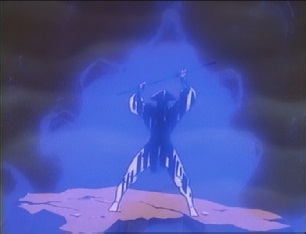 Raiden tells Nightwolf to handle things here whilst he goes out and makes a portal to send the Nomads back through. 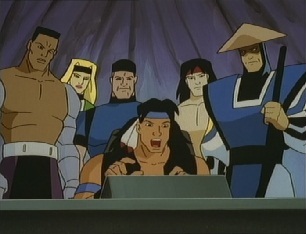 However after Raiden has gone, Nightwolf senses something and looks through a monitor to see that a group of Nomads, under the leadership of Karbrac, have entered the base. 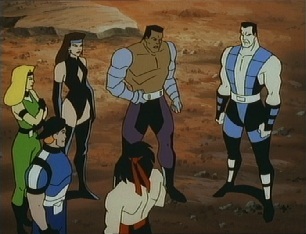 Nightwolf tries to get the others to help him, but they are too busy fighting the other Nomads outside of the base. 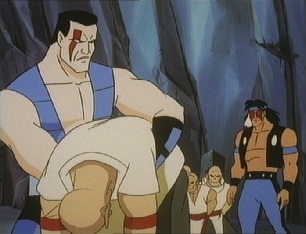 Karbrac and his group are soon inside, and Sub-Zero says Nightwolf must let him help him as he can't fight them all alone. 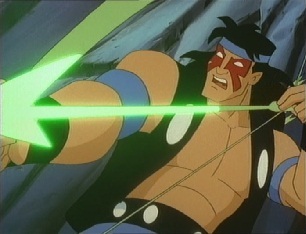 Nightwolf has Kiva somehow merge with him, making Nightwolf stronger along with getting access to a bow and arrow. 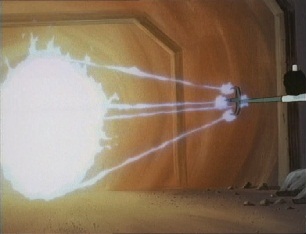 He uses these weapons to blast down some of the Nomads. 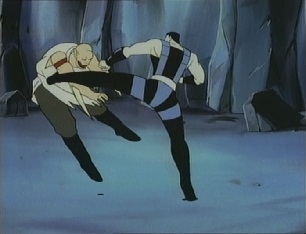 Karbrac then tries to fight, but is easily defeated by Sub-Zero. 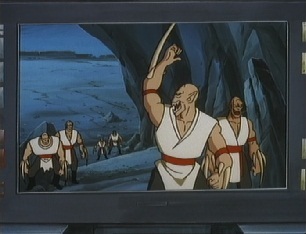 With him out of the way, the other Nomads are soon all captured and the interior of the base is secure. 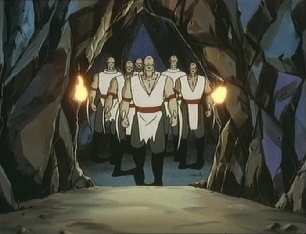 Raiden teleports in and says they have got the outside secure -but now these Nomads know they are here, he'll have to ship them out to a realm of no return. 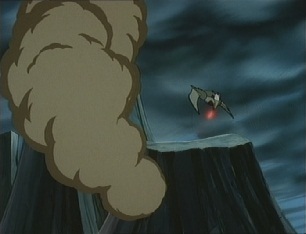 As Raiden teleports the Nomads out of the base, the others return. 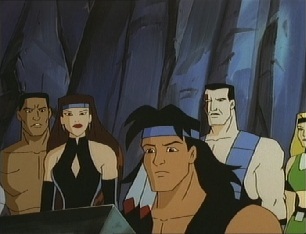 Sonya thinks she can take down Sub-Zero now, but Nightwolf says he really is on their side. 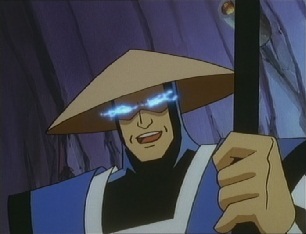 Raiden confirms what Sub-Zero told him earlier when he finds a tracking device on the ninja's back. 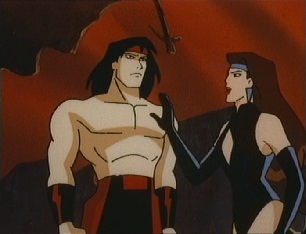 Sonya says she's sorry for earlier, but it has been hard for her to trust anyone lately. 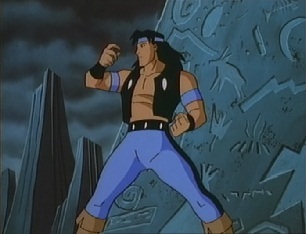 Just then Nightwolf says that there is another rift, a big one, and that could only mean one thing: Scorpion has arrived in the Earth realm! 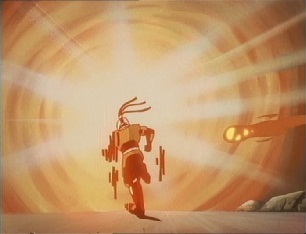 Whilst Cyrax is seen running back through the portal, Sektor isn't -maybe Kitana killed him with a stage fataility?! 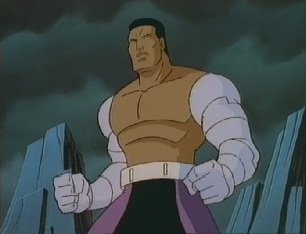 Unfortunately not, as he appears in a later episode. 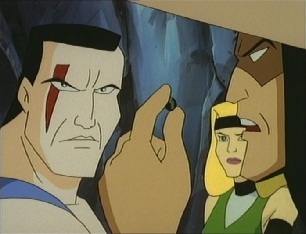 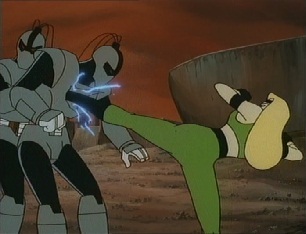 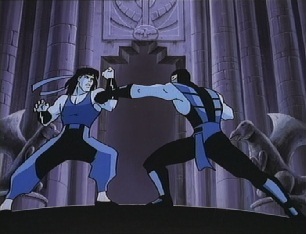 The flashback scene with Liu Kang and the original Sub Zero is a reference to the 1995 live action movie, although in the movie, Sub Zero dies by having an icicle stabbed through his chest, and Kitana's line is slightly different -she tells Liu to use the element that brings life, in the cartoon, she says use the component. 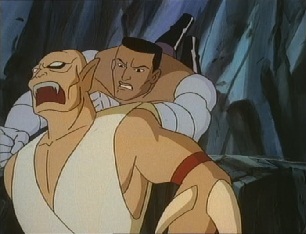 The Nomads are now known as Tarkatans in the games.